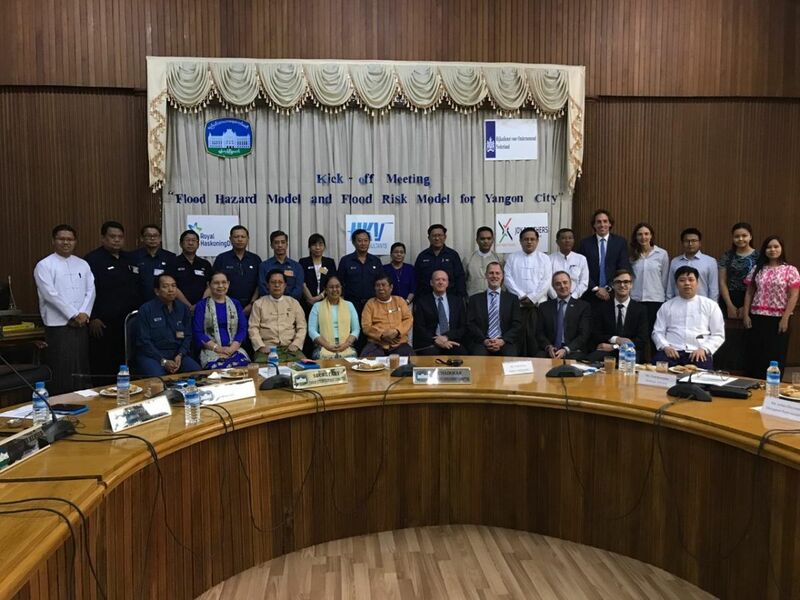 On 21st of March, during a kick-off meeting at Yangon City Hall the Yangon Flood Model was initiated in which the outlines of the project were presented. This project will support not only ongoing initiatives on Integrated Water Resources Management (IWRM) and Disaster Reduction Management but also make a great start with Integrated Flood Risk Management in Yangon Region. 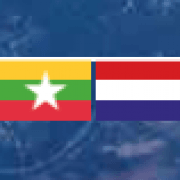 Moreover, the project will provide that mapping of flood hazards and future urbanization and climate change stories situations are likely to increase flood risk in Yangon City. The consortium partners led by Royal HaskoningDHV from the Netherlands include HKV consultants and Joy Brothers Engineering. 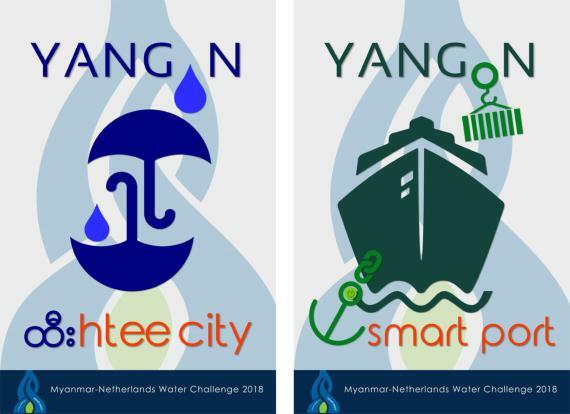 The Yangon Drainage System will be digitalized from which can also apply in other projects. By creating 3Di flood hazard model, the model can map out water flows and the effects of flooding, heavy precipitation and drought for the existing situation and for different preferable scenarios. To get a better, more interactive communication between different departments as well as organizations, reports and related documents can be viewed on iReport online. Currently, no overall responsibility on flood management is assigned. The responsibility of water system and with that flood management are spread among various authorities. There is no integration among the authorities to develop the flood management frameworks as well as to align implementation of such methods in Greater Yangon Region. Responsibility of flood prevention is ambiguous between different authorities. Green - Modelling under the Regional Water Security Study (RWSS). Orange - Yangon Flood Model. Output - a collection of flood maps with water depths for extreme events with probabilities of occurrence. Flood risk is defined by multiplying the probability of each event with the potential damage of that event. Output: the economic risk (costs) per year that should be accounted for. From flood hazard model, it validates and calibrates two historical flood events and the results including inundation depths are flood hazard maps for chosen return periods by using QGIS, Lizard and 3Di software. From flood risk model, the result can be shown with maps of flood risk in Yangon City such as number of fatalities and affected people as well as Population of Concern (POC) per year, critical infrastructure affected and expected annual damage. The ownership of the model will be delivered to Engineering Department Roads and Bridges and Urban Planning Division of Yangon City Development Committee (YCDC). Selected governmental staff members will receive the training by the consultants to operate and maintain the model. The project will take 7 months and then, will start to initiate the mode as a next step.